Securing a job in the finance business is a notoriously difficult thing to do. Finance jobs usually imply difficult positions, long working hours, participating in all sorts of activities and meetings that exceed your working hours. They also mean transforming a 5-day week into a 7-day one at times. The big banks and important companies look for especially gifted individuals, who can take the pressure while delivering results as close to perfection as possible. Apart from that, the competition you’re up against is fierce. The candidate number vastly exceeds the number of openings. These are all reasons that make finance jobs difficult to land. Therefore, to help you on your way to the desired career, here are the best tips for landing a job in finance from an entry-level position. The first thing you need to know is that, when it comes to a career in finance, there is no such thing as too soon. If at all possible, you should start thinking about your future employment path from highschool. If you know that finance is your thing, if you are gifted in this field or if you just dream of being a financial analyst, start considering your choices from a very early age. Education is paramount when it comes to finance. Top banks generally see academic achievements as a criterion for candidate selection. This translates into the fact that applicants with finance, economic and accounting degree will have the upper hand in hiring. Building on this, what you must understand is that education in finance is a big game of domino. You need to get good grades in highschool, so that, after you graduate, you can get accepted into an Ivy League school. It doesn’t need to be local, so you can also go international. While in college, don’t just settle for going to classes and then graduating. To be selected by a top bank, you need to be among the best in your year. The reason banks and companies ask for this almost extreme level of education from their candidates and later on, employees is their clients and accounts. World class banks, such as Bank of America Merrill Lynch or Goldman Sachs handle some of the biggest companies in the world. This means they need the best financial experts. It’s a job that involves trading on a very high level and huge amounts of money, therefore, it’s a job with a lot of responsibility. You can understand why they would only hire the best of the best. As a conclusion, never neglect your education if finance is the career path you’ve chosen. It’s the best asset you have not only for getting hired but for successfully doing your job as well. An excellent addition to your resume is represented by finance internships, training, and extracurricular activities. There are many companies out there, such as Wells Fargo and Prudential that offer internships and placement programs, especially for college students. The great things about them are that they will help you get noticed. They will also provide you with a way into this otherwise closed-circle world. The moment to look into internship options is your freshman or sophomore year. This will prepare you to be an intern by the end of your junior year and could, possibly, lead to an entry-level job. You should also know that there are several large banks and companies that provide programs for groups that are somewhat misrepresented from a traditional point of view in the financing world. For example, Goldman Sachs organizes recruitment workshops as well as camps for segments such as African America people, women, Native Americans, Hispanic and members of the LGBT community. It’s a good idea to talk to your professors or alumni to see if these programs fit your profile or not. It’s a very well-known fact that many Wall Street firms pick their new employees out of their summer interns. And it’s a logical process. An internship gives a student the chance to prove himself and stand out. It also gives the employer a chance to look more profoundly into the candidate’s skills and possibilities. Approximately one-third to half of the MBA students at the best business schools work for their summer employer after they graduate. One tip here is to accept any internship that comes your way. Indeed, ideally, you would get a paid internship. But that’s difficult, and it doesn’t always happen. Therefore, consider some other options, such as unpaid internships or some volunteer work with a broker. Remember your main goal at this point is not to earn money, but real-life experience and knowledge. Seeing as a finance job is so well-paid, you will get the chance to make it up financially in the future. 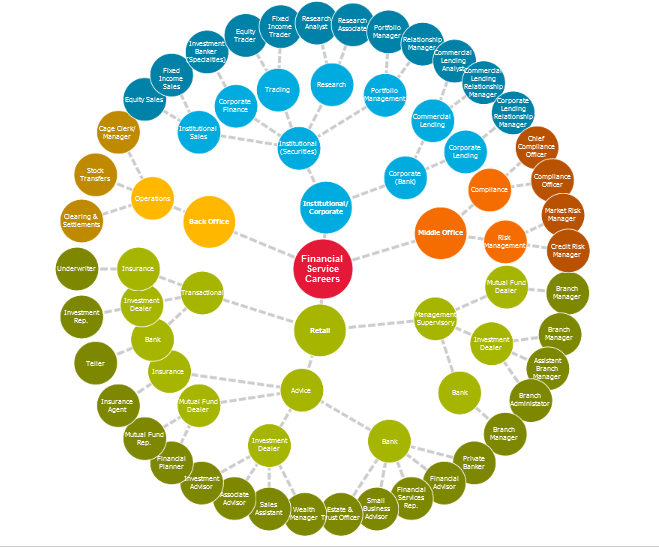 The financing world is broad and complex. Therefore, there is a vast array of employment for you to choose from. The trick here is to find the one that best suits your personality and your skills. Here are the main types of finance jobs you can apply to and their description. You can work within a corporation’s management in analyzing the costs of its operations, its products, and specialized projects. This means you will also perform budgeting procedures and prepare reports. You can work as an internal auditor for a company. You can also be a certified public accountant for this and work somewhat as a freelancer when it comes to audit. You can open your very own accounting firm and perform all the above duties for companies that hire you as an outsourcer. They are responsible for negotiating deals between property owners and prospective buyers. You will also be interacting with appraisers to determine a property’s value on the market. The investment banker has an advisory status. This means that he works for a company or, more often, for a bank, which has clients. He uses his financial expertise to advise those clients or raising money in the financial market or about mergers and acquisitions. This is one of the most difficult positions to hold in the world of financing. There is an enormous responsibility for investment bankers to get all their advice right. The reason is simple enough. One piece of bad advice could lead his client company to lose millions of dollars. As an investment banker, you can also handle equity financing, private placements, deal underwritings, and many other things. Your main job as a financial analyst will be to analyze your company’s growth and earnings. You will be using fundamental tools and because of this, you will see how important education is when it comes to finance. The analysis is summarized and transformed into reports. They are then sent to the interested parties and departments within the company. The reports will help the management and all the investors in making the correct financial decisions. He or she assists the managing of mutual funds, retirement funds, hedge funds and all sorts of investment funds. The basics of this job say that you should apply the necessary strategies so that the fund can grow as much as possible. Also, you need to make sure all trading activities function normally. If buying or selling trades sound interesting to you, then being a stock broker should be your career path. You will also need to guide your clients in such a way that they can maintain a diversified investment portfolio. You will need to sell products such as a car, life, and health insurance. Advising your clients about the best type of coverage for them is also part of the job. There are certain companies that provide financial advice to their clients to help them map-out their arrangements for the future. For example, as a financial adviser, you can instruct your clients on how to build a fund for their children’s college tuition. You could also help those who choose to retire early secure the best financial future they possibly can. Some of the jobs included in commercial banking are foreign currency exchange, customer service, cash management, internal auditing, and anti-money laundering. There are many commercial banks out there. This is the main reason securing a position in this particular segment of the financial market is not as difficult as the other ones. 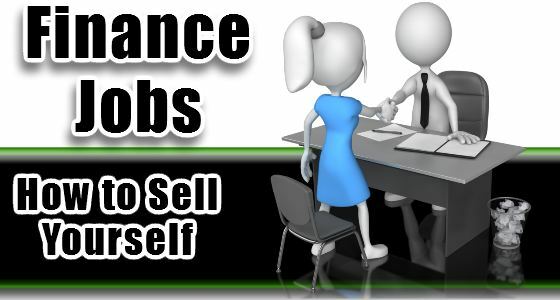 Now that you know what are the main finance jobs, you also need to learn how to differentiate between finance jobs in general and the best ones for entry-level. Here are the best 5, according to College Recruiter. Loan officer – it’s a perfect job for a beginner because it’s quite easy to secure. All the banks, from the smallest one in your home town all the way up to the biggest conglomerates need loan officers. You will be the link between the bank that provides the loans and the individuals or businesses that have applied for one. Junior Tax Associate – This is one particular aspect of finances people will always need help with. Not everybody knows how to calculate their taxes so you can easily find a job there. Financial Auditor – This is a job where you have to audit your company’s statements. It’s a very sought after job, so you may want to improve your chances by taking some extra courses apart from your bachelor’s degree. Also, it’s very usual for financial auditors to work a lot more than the regular 40 hours a week. Apart from working in a bank, a small company or opening your own business, you can choose the corporate environment as well. 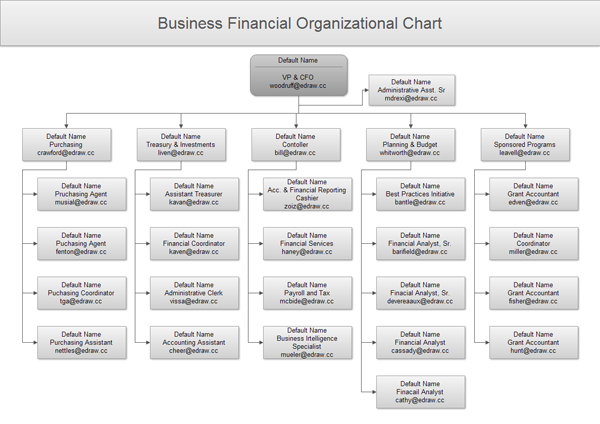 Here is how the hierarchy looks like in a corporation, top to bottom. CFO – he is the main man in any corporation. Indeed, he has his boss, the CEO. But if you are employed in the financial department of the corporation, you will be ultimately answering to the CFO. Accounts Clerk – the position you are applying for, as junior and entry-level person. Since it’s time to look at the money, here are the best-paying jobs in the financial field. Financial Analyst – as stated above, financial analysis is one of the most difficult jobs in the business. They only hire the best of the best, the hours are long, the work is hard, but the money is great. Salaries start at $38,765 and can go as high as $102,977 on average. CFO – the king of the hierarchy was bound to make a lot of money. This is indeed, one of the best-paying career options. However, needless to say, getting there will require a lot of work and quite a few years. Average salaries as a CFO are somewhere around $336,669 per annum, but they are usually higher than that in top banks and large corporations. 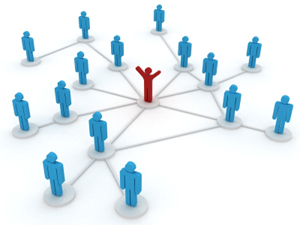 Account Manager – The account manager oversees the well-functioning of all the accounts he has in his portfolio. You will need a working knowledge of the entire process, outstanding people skills, and networking abilities. There are some companies that even ask their AMs to have at least seven years’ experience in the field and an accounting degree. The median salary is $83,708 per year. Risk Manager – banks usually like to offer this particular service to their clients to make them feel safer about the financial decisions being made. To do that, they invest a lot in technology that can help them measure, manage and alleviate these risks. But they also invest a lot in the people carrying out risk management analysis. That’s why salaries are high, up to $111 000 a year. Networking plays a huge part in landing a job in finance. This is a closed-quarters type of domain and knowing someone on the inside who can open a door for you is your best chance. This is why you need to start networking right now. If you have someone in your family, friends or colleagues that are somewhat connected to the world of finance, use them as your main link. Also, never shy away from asking for help and connections from your seniors and professors in college. It also works if you acquire a mentor. It can be anyone, as long as he or she has experience in the financial business. Take full advantage of your internship, if you managed to land one and make friends all over the place. From the person that brings the coffee to your boss, you never know who can help you in the long run. Attend on-campus company information, as well as off-campus career fairs. You can use your university in other ways as well. Secretaries and professors can help you by giving you contact details of former alumni that are now working for your targeted companies. Simply call them or send them a detailed email. State that you are also a student at college X and would like to work for his company. Detail your good grades, your achievements and finance related extra-curricular activities. If they can’t help you by getting you an internship or a position at the company they’re working for, don’t sever the ties. Keep talking to them and ask them for advice regularly. They can help you decide which bank or company is best suited for you. Apart from that, when they hear about an opening, they might recommend you. Assuming you’ve followed all the above steps and tips, you have now got an interview with a bank. What should you do exactly? Dress smart – wear a well-tailored suit that complements you traditionally and elegantly. Make sure to ask a few well-drafted and intelligent questions. They will make the interviewer believe you do know what you are talking about. It’s also a better way than downright stating all your knowledge. Don’t behave like the bankers you’ve seen in movies. Often enough, those are just conceptual representations of a banker, and the real ones might not feel good about it. Do not be overly serious. Indeed, you should be as calm, composed and serious as possible, but don’t be cold. If there is a reason and a moment, you can make a small joke, laugh or smile about it. Remember they are looking for a person that can interact with their clients on a human level as well. Make sure to talk about your hobbies and passions too. Let them be the theater, music, sports, French wines, art, design, architecture, landscaping or travel. The idea is to present yourself as someone very interesting. They need to know that, if you are to meet with a client, you can handle that level of social interaction. Let the interviewer lead the conversation. No matter how much you want to bring your achievements into the discussion, do not brag and don’t make a point of showing off. Do not rush things. If the interview takes two hours, then so be it. This should be the most important thing for you right now. Show that you are a clever, intelligent and charismatic person by coming up with out of the ordinary answers to classical questions such as: where do you see yourself in 5 years, why have you chosen this company, why are you attracted to the financial world. In the end, remember that, even if you are a beginner, and you don’t have a lot of experience, you can still have an incredible resume. Apart from that, you are capable of landing finance jobs, as long as you work hard and follow the tips above.